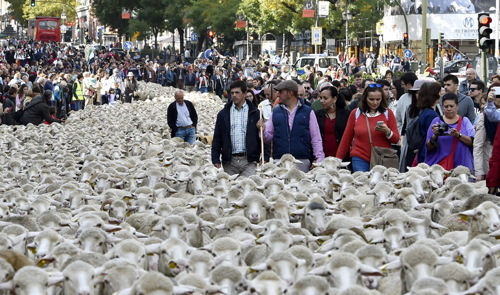 I cannot explain why, but it just feels really urgent to point to this amazing set of photos of thousands of sheep filling the streets of Madrid. Something to do with protesting/preserving the ancient droving pathways? Yo no se, but it would be an incredible thing to show a kid.